Hello! Can you believe we are just about halfway done with July already!? Time is flying, but that only means we are getting closer to the holidays! Ha! You know me & my little family. 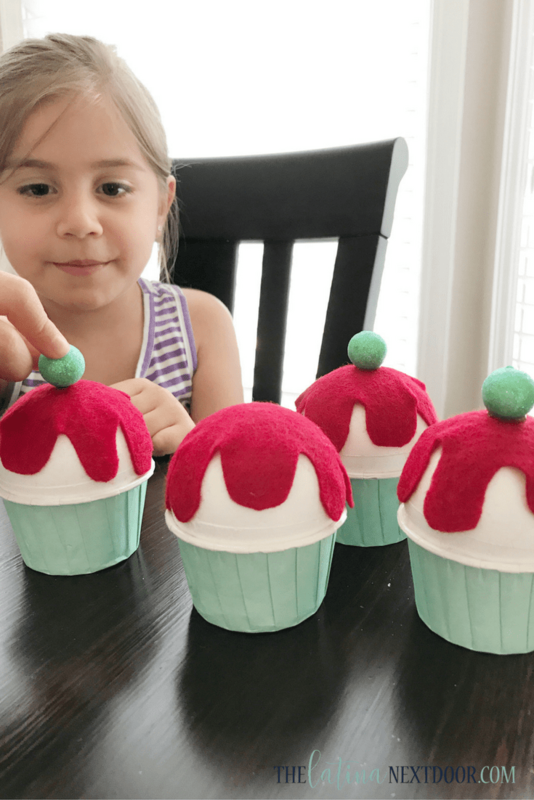 We love Christmas, so when Treetopia approached me to join the Christmas in July Blog Hop this month, it was a no-brainer! Last year, I decorated a black (yes, BLACK!) Christmas tree for a wonderful Halloween theme and it was loads of fun. This go-around we have an fun ice cream social theme perfect for any party in July! 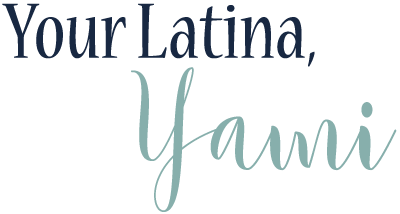 Included in this blog hop are these other talented ladies so make sure you check them out on their days and for even more fun decorating tips & ideas, check out Treetopia’s blog. We even have a chance for TWO of you to win a $100 gift card to spend at Treetopia so make sure you head to the end of this blog post so you know exactly where you need to go to ENTER. Much like last year’s post, I decided to get crafty and have my kids get involved in the tree’s creation. My inspiration for this tree was the strawberry sundae which is my favorite ice cream treat! My favorite ice cream is vanilla so naturally I picked this pre-lit LED white tree. It was super easy to assemble and connect and the branches are super full which leave no gaps after fluffing! I received these gorgeous large red ornaments to use throughout the tree which I thought would be perfect to emulate “a cherry on top” and strawberries chunks throughout. The rest of the ornaments we DIYed… here’s what we came up with! Using styrofoam balls, mint green party treat cups and felt sheets we created our own DIY ice cream sundaes. We assembled everything with hot glue. The styrofoam balls were the ice cream and the felt is supposed to be the strawberry topping. My daughter likes sprinkles with her ice cream so we topped them off with mint green sparkly foam balls. We made a garland out of the mint green sparkly foam balls and painted wooden spoons to look like they either had ice cream or strawberry sauce on them. We made a little flag garland and decided to make ice cream cones as well. 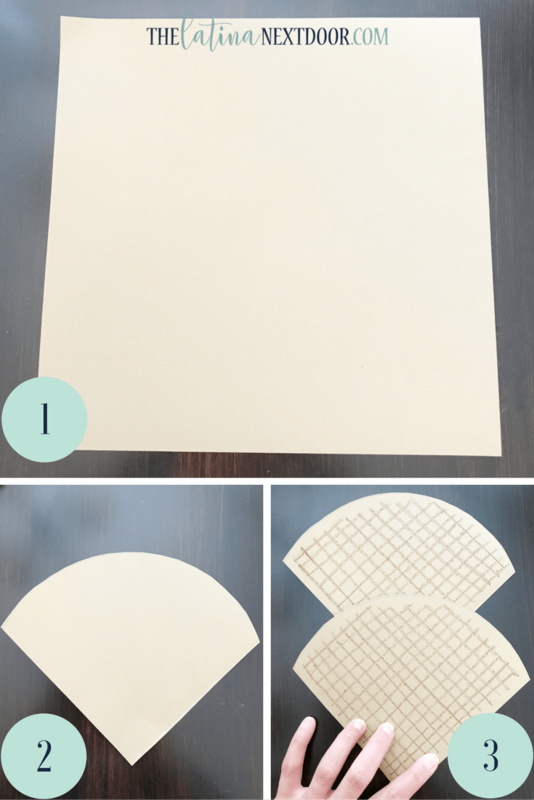 All you do is cut a square, round off one corner and draw lines with a crayon or marker to make it look like a waffle cone. Then you just hot glue the two ends to create a cone. 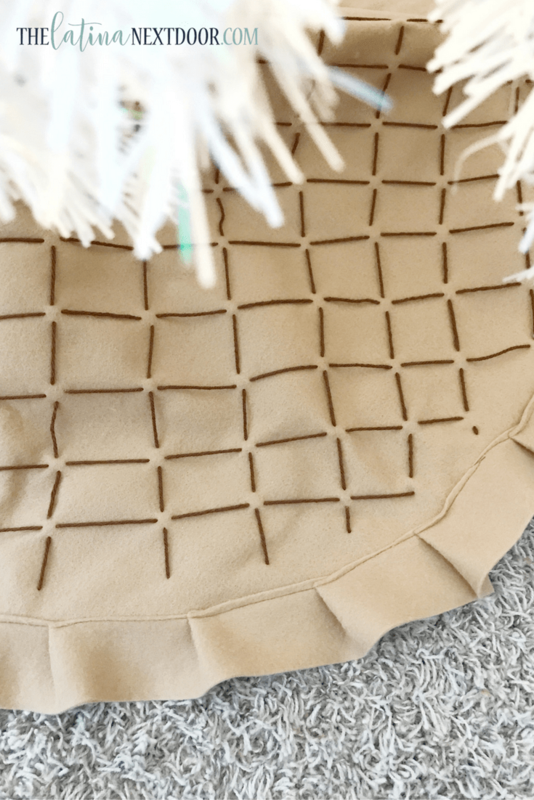 Finally, I cut a yard of light brown felt into a circle and used the excess fabric to sew a 2 inch ruffled edge for the tree skirt. I used knitting yarn to sew a pattern to make it look like a waffle cone as well! This was probably my favorite piece. 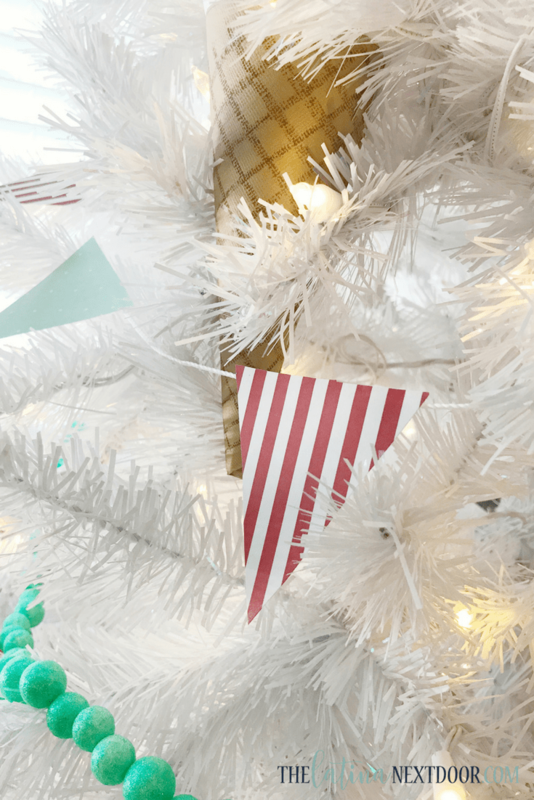 The decorations weren’t meant to be perfect, but rather a great activity to get creative with the kiddos and have fun decorating a tree with ice cream ornaments, which my oldest thought was so fun. It’s hard to keep the decorations on the actual tree now, since all they want to do is play with the ice cream cones! Later on that evening we watched a movie and had strawberry sundaes! 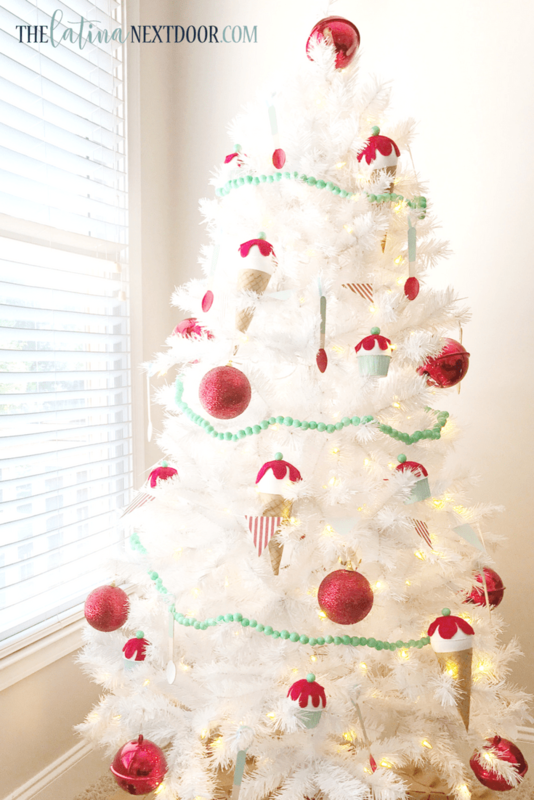 I hope you enjoyed this ice cream social idea for your Christmas tree and remember, it’s never too early to pull out your Christmas tree! Of course, I say that and my neighbors probably think I’m crazy right now. LOL! Make sure to head on over to Treetopia’s Facebook page in order to enter the giveaway for $100, going on right now! And don’t forget to head on over to Jennifer’s blog to see what she came up with! Tell me! 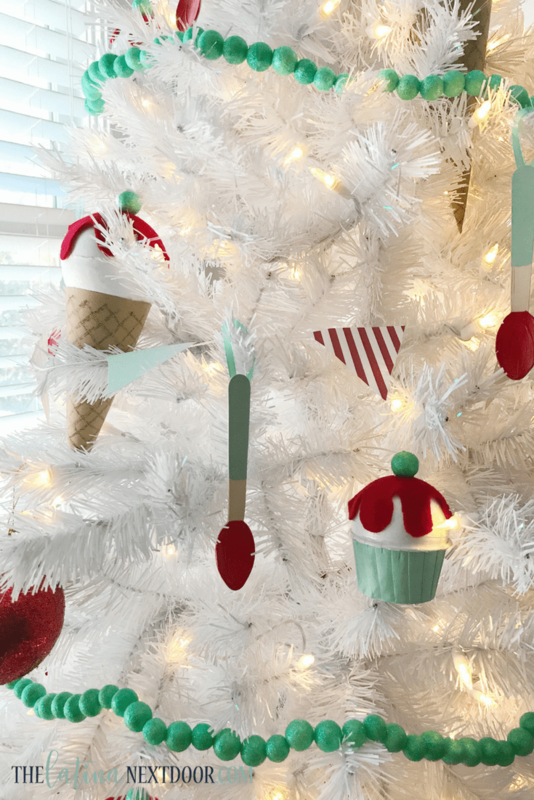 If you could decorate a Christmas tree with ice cream decorations, which sweet treat would be your inspiration? So adorable! 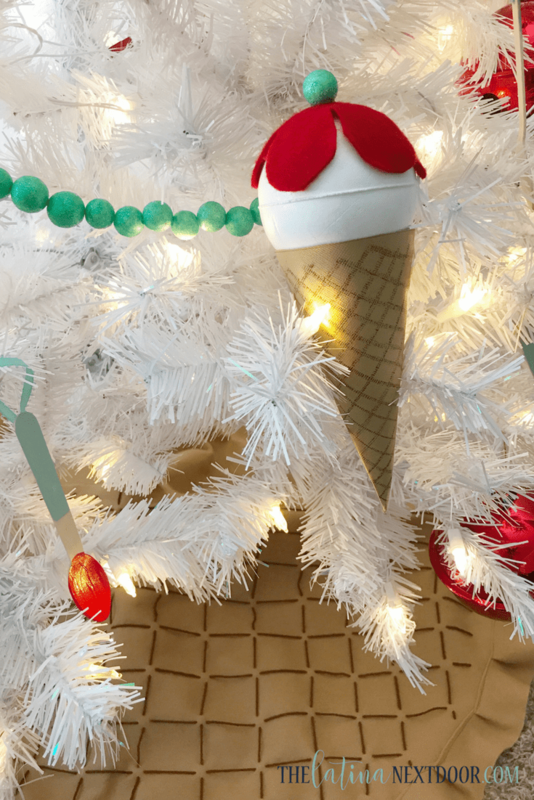 Your DIY ornaments are just perfect for a summertime ice cream social themed tree! What really blew me away, though is that tree skirt! What a creative idea! Thanks a lot Yami for your innovative ideas.your perceptions are highly accepted.The whole new ice cream concept of celebrating Christmas is very creative and it is a great activity to get artistic with the kiddos.Your ideas have impressed me a lot.I hope this Christmas I can give this kind of work to my son which I think will be the best gift from my side.Your efforts are highly appreciated. Thank you Roger! Yes, I enjoy doing activities like this with my kids. It makes them feel involved and it gets their creativity going!